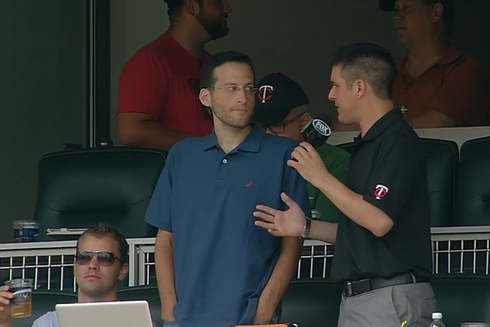 I spent yesterday afternoon at Target Field watching the Twins-Orioles game in FOX Sports North's suite. Along with a few other bloggers I was invited there to try the "Game Connect" platform that incorporates play-by-play, statistics, scores, social media, and a bunch of other stuff for an online supplement to the game-watching experience. 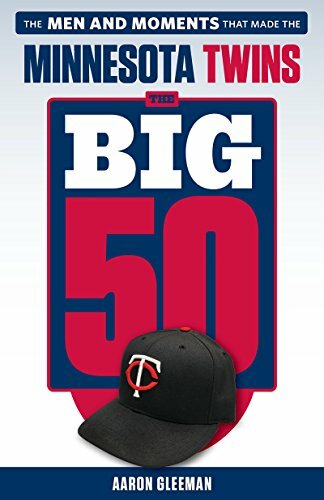 It's definitely worth trying, especially if you're like me and typically watch Twins games on FSN with your computer nearby. FSN treated us too well. Becky Ross and Laura Beshire were great hosts, plying us with beer and food. 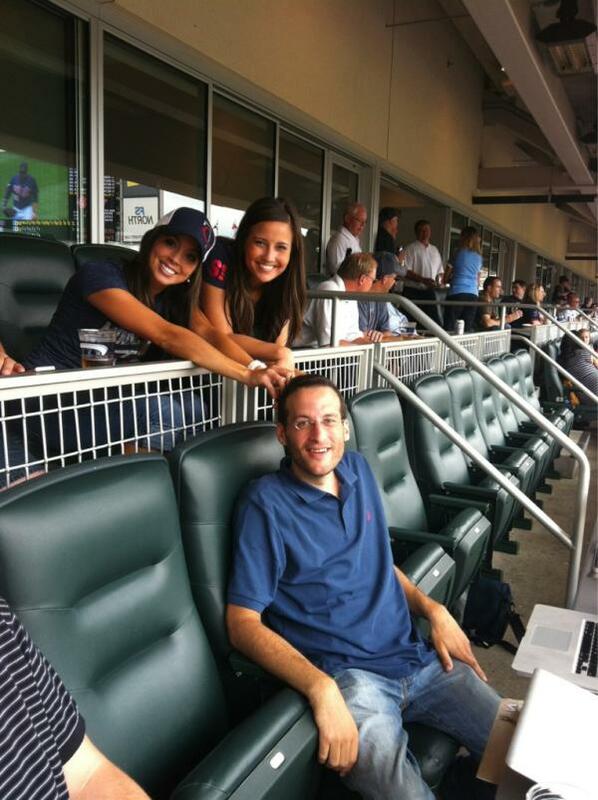 Angie Avestruz and Kaylin Cockriel--also known as "The FSN Girls"--couldn't have been nicer, even when John Bonnes creepily used Twitter to peer-pressure them into running their fingers through my hair. And sideline reporter Robby Incmikoski hung out, interviewed me on television, and was incredibly nice despite me often being critical of him and FSN. • As always, Louis C.K. is the best. • Pete Rose is getting his own reality television show and it sounds as bad as you'd expect. • Yesterday morning during my KFAN appearance with Paul Allen the inevitable happened, as PA and my mom joined forces in the name of ... well, listen for yourself. • Heidi Klum was the first Official Fantasy Girl of AG.com way back in 2002 and suffice it to say she's aged a whole helluva lot better than I have. • Friend of AG.com and former Gleeman and The Geek guest Lindsay Guentzel made it to the MLB Fan Cave's final seven, but after four months in New York she was voted out this week. 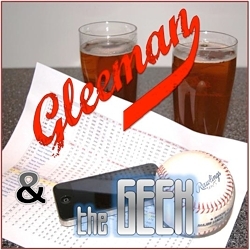 • Speaking of which, this week's Gleeman and The Geek show was our 50th episode, which means only 450 more until my mom is allowed to come on as a guest. • Having reached the point where losing more weight isn't really possible--I'm down under 170 pounds after being 355 pounds on March 7, 2011--for the past two weeks or so I've been on a Chinese food and gum diet mostly just to see what happens. And despite getting takeout from Yangtze in St. Louis Park literally every day I somehow haven't gained any weight. Order the "hunan chicken with just carrots and baby corn." It'll change your life. • Jets coach Rex Ryan went from 348 pounds in late 2009 to 242 pounds now, although he underwent lap-band surgery rather than relying strictly on diet and exercise. 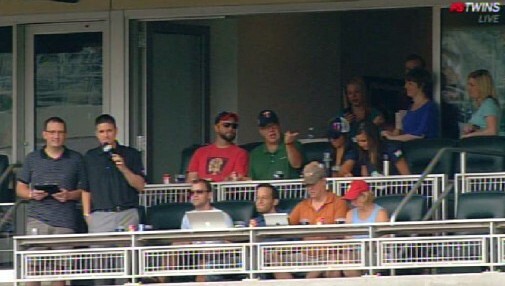 • Pete Caldera is officially the coolest beat reporter in baseball. And best-dressed, too. • Nationals first-round pick Lucas Giolito has $2.9 million and a signed lightsaber from Samuel L. Jackson hanging in his room. • If you're into statistical analysis for basketball, Court Vision's graphics showing exactly where rebounds wind up based on where shots are taken are pretty great. • Bert Blyleven had a perfect response to Reggie Jackson: "God gives us many holes in our body and he just spoke out of the wrong one." • As someone forced to use a Blackberry for work, the company's situation is depressing. • This will probably make it even more confusing when I try to explain where I work to people. • Congrats to my HardballTalk blog-mate Craig Calcaterra for being named "internet writer of the year" by the Baseball Bloggers Alliance. • Looking at Official Fantasy Girl of AG.com candidate Kelly Brook is just like riding a bike. • Darren Wolfson's ongoing coverage of the Timberwolves' offseason has been a must-read at 1500-ESPN and his lengthy article breaking down the Nicolas Batum drama was excellent. • Except for the parts about leaving the house and hanging out with strangers for three hours this sounds like a great way to watch a Twins game at Target Field. • Paul F. Tomkins filmed a series of short video interviews with interesting actors, comedians, and musicians over drinks and they're all worth watching. • Netflix instant recommendation: Rampart, which stars Woody Harrelson and convinced me even further that he's one of the best, most versatile, and most underrated actors around. • On a related note, one screenshot can tell the story of a crazy evening. • John Legend was a great guest on The Champs with Neal Brennan and Moshe Kasher.